When mentioning Twitter, your first thought very well might be that it is a collection of witty comments, funny and interesting images being shared or you might use it to be in touch with the things going on around the world on an hourly basis. Those actually are the most common reasons that keep people browsing around and refreshing their feed, but Twitter is also being used for some time now as a powerful business tool. Whether you are launching a new service or you have some upcoming promotions or discounts in the works, Twitter, arguably the most popular social media network behind Facebook, is a perfect tool for your needs. Easy and fast reach towards your current and potential customers, the ability to respond to your customer queries in a matter of minutes (providing that you do not take managing your Twitter account and in overall your customer support for granted) could just very well be the thing that will separate your business from the rest of the competition. Getting exposure online through Twitter requires you to be creative, responsive and adaptive to current trends and features, but if you manage to learn and master the use of this almost mandatory tool in the modern day business it can benefit greatly to the support and identifying your commercial brand. Track customer reactions to corporate announcements in real-time. Monitor customer conversations and retweets of your posts. Direct messaging can replace time-consuming emails in many cases. Instant response to complaints or accolades. New learning curve on the best ways to use Twitter. New corporate users start behind of established Twitter users. Creating an online Twitter following can be both time-consuming and mentally taxing. The rewards, however, outweigh the disadvantages even for the most traditional and hidebound companies. One reward, that you can see immediately, is the reduction in outside advertising costs. Without the need to hire expensive ad agencies to create and market traditional advertising, that money is saved and can be put back into the company. 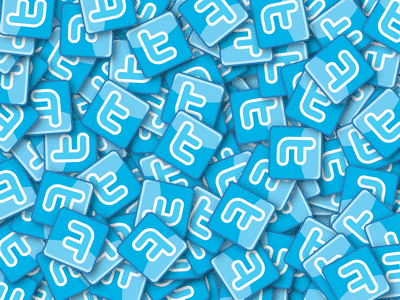 The creation of Twitter campaigns is much less expensive than the formulaic advertising for TV, radio and print media. Once you decide to create or enhance your Twitter presence, there are several easy steps to personalise your Twitter feed and bring more business to your door. We will break those up into two sections. Especially your profile picture. Your picture will be attached to every Tweet you make. Every piece of information, every advertisement and every response to a question or problem will have your picture on it. You want your customers to associate that picture with your brand Avoid silly pictures and statements, but make sure the picture represents who you – as a company – are. Of course, you must do that in a square 400 pixels wide and deep. That is your first challenge. Your second challenge is modernising and updating your Twitter home page to provide information for your followers and random people who just wander off the internet and find you. The trick here is not to overwhelm your potential customers with walls of text and non-important information. Twitter users can create custom graphics to use as the background of their Twitter profile page and the temptation to use a picture can be overwhelming, there is a lot to be said about simple block graphics that help your customers focus on your information. Not just your company’s bio, but also anyone who will be using Twitter for your company or responding to customer questions. By creating professional bios for all your employees, you give their answers added weight. Once you have updated everyone’s bio, schedule a review and update in six months. Keeping things fresh takes some work. The second part is to identify your customers and create lists of potentials, actuals, returning customers and Spammers/bots. The information gained from actual people will have much more of an impact on your business than any information garnered from following bots and spammers. Spammers can also hijack threads and feeds to create informational problems between you and your customers. Bots are bad but spammers are worse. Identifying bots and spammers is not that difficult and can usually be done in-house without having to hire ‘professional Twitter gurus.’ They are unnecessary and generally have little or no effect on the success of your Twitter feed. Checking your follower’s pages is quick and simple and there are ways to know if a user is a real person. Once you and your company have reached this point in the process, you are ready to make some tweets and start building your social media presence. Don’t be shy. If the president of the United States can do it, so can you. Aside from primary area of interest and expertise in business consulting with SBHI Commercial Cleaning Sydney, Ian could be tagged also as a passionate sports fan, nature and photography enthusiast, always trying to keep up to date with tech innovations and development.